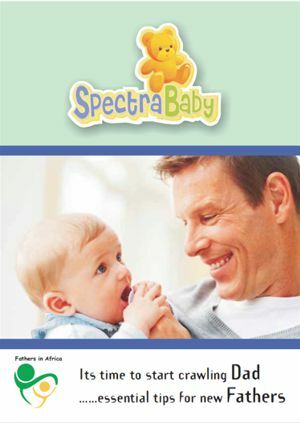 There are many books and websites on fatherhood, and even a number of books on being a new dad. But there aren’t many books that really boil it down and encapsulate it like this one. 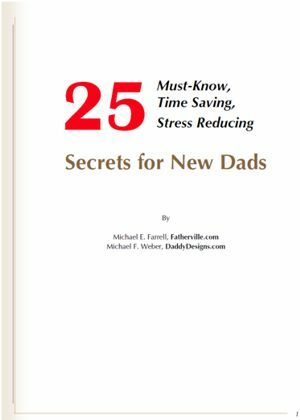 Here, in this e-book, we will share with you 25 must-know, time- saving, stress- reducing secrets that every new dad should know as he begins his journey down the road of fatherhood. Most new dads start out knowing very little. Most of what we have learned has come through the trial of experience. In this book we aim to give you a head start. We’ve discovered these twenty-five secrets only through good old-fashioned, firsthand experience. knowing these secrets will help make your journey just a little bit easier, a little less frustrating and, hopefully a lot more fulfilling. This document presents an updated overview of the key trends in the father involvement literature. While we are unable to provide methodological detail in such a succinct summary, we endeavoured to compile as accurately as possible, reliable research results that support these trends. 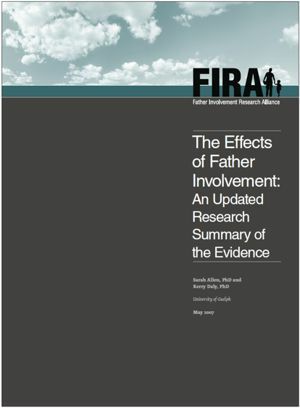 It is clear from the research that father involvement has enormous implications for men on their own path of adult development, for their wives and partners in the coparenting relationship and, most importantly, for their children in terms of social, emotional, physical, and cognitive development. It’s time! You’re in the delivery room with your partner, who’s about to give birth to your dream child. What an awesome, miraculous moment! The truth is, a father is also being born today and your world will never be the same. I distinctly remember driving home from the hospital, after Tarryn was born, a lot more cautiously than usual. I was suddenly overwhelmed with a sense of responsibility and the thought of making fathering a priority in my life. The National Centre for Educational Statistics reported that when fathers are involved in their children’s education, the kids were more likely to get A’s, enjoy school and participate in extracurricular activities. Their children have a higher rate of asthma, headaches, anxiety, depression and behavioral problems. Teenagers are at greater risk of alcohol, tobacco, illicit drug use and suicide.